Directed by Rupert Sanders. Starring Kristen Stewart, Chris Hemsworth, Charlize Theron, Sam Claflin, Ian McShane, Bob Hoskins, Ray Winstone, Nick Frost, Eddie Marsan, Toby Jones, Brian Gleeson. Fairy tales and children stories are not what they used to be: my memories of Snow White was one of a lovely princess whistling in a forest surround by colourful birds, while the seven dwarfs were happily singing on their way back home. At the time the biggest question of was “will they wash their hands before dinner?”. Well, fair enough, 75 years have passed since the famous Disney version (and obviously over 20 other screen adaptations, including countless pornographic versions, which obviously I’m not going into). But young modern audience is used to much stronger stuff than singing birds, soap bubbles (though arguably the old witch in the Disney version gave nightmares to many at the time, and probably still does). This is a much darker re-invention of the story for the Twilight and Harry Potter crowd (not just in its colour palette but generally in its sensibility veering more towards horror than a fairy tale) and of course with some Lord of the Rings and Game of Thrones added the mix. The title itself might be a little bit misleading and possibly even prevent much of the older audience, who would potentially quite like this adventure like this, from thinking this might be for them. We shouldn’t forget that after all the original Snow White story had some undercurrent grim and dark tones to it, so in a way this version is almost going back to its roots. But does any of that matter? Well, only to a degree. Despite its obvious weaknesses from a dramatic point of view and being completely devoid of humour, the film still manages to be a sumptuous imaginative feast for the eye and an exciting and arresting action romp… It’s clearly derivative from all sorts of other movies made before, but it’s entertaining and inventive enough… if only somebody had remembered to tell a proper story too. Charlize Theron is clearly having the time of her life playing the evil godmother/queen/witch. She camps it up as much as she possibly can and after all, if you’re hoping to get away with lines like “mirror mirror on the wall who’s the fairer of them all“, this is probably the only way to do it (… and by the way, despite of what the mirror says, my answer will always be “Charlize Charlize!!!!”). In fact she does such a fine job that in the end you almost don’t want her to be defeated. And finally the seven dwarves who come so late into the film that by the time they show up I had completely forgotten they should have been in at all. The CGI wizardry here is something to marvel at, as recognisable faces of well-known actors are somehow morphed onto bodies of actual small people. It is absolutely seamless and quite disconcerting (and a little bit unfair for real small people actually… Is this going to be the end of their career as actors? It feels a bit wrong… Almost like having white people turned black by CGI). But however spectacular their appearances are, it doesn’t take away from the fact that they’re all quite interchangeable with each other and pretty soul-less. In fact there was a lot more characterisation in the Disney animated version from 70 years ago that in this one. But hey, let’s take the film for what it is and not for what it could have been. It is flawed, but in the end both look and style and the sheer inventiveness and the detailed recreations save the day and the film delivers more than the actual title promises. I should probably tell you straight away that I have been waiting for this film for about 3 decades! Yes I know, quite a bold statement which may give away my age, but it will also tell you about my level of expectations for this film. If then you add the fact that I’ve grown up watching Spielberg movies back in his golden years (obviously the 80s) and that I’ve also been an avid fan of all Tintin comics ever since I was a little boy, you can probably get an idea of the kind of palpitations I had when I sat into the theatre and wore my 3D glasses. Having said all that I will still try to give an unbiased and honest review as much I possibly can, praising the (many) merits of the film but also highlighting some of the faults which in my option prevented Tintin from being the masterpiece I really wanted it to be. For a start I was very pleased to see how respectful Spielberg was with the handling of the original material. After all, this is the man who wanted to turn Harry Potter into an American, combining several books into one (A bad, bad, bad idea Steven!). The story of this film actually combines several of the Tintin books: ‘The Crab with the Golden Claws’ (in which Tintin befriends Haddock and saves him from smugglers) and the two-parter ‘The Secret of the Unicorn’ and ‘Red Rackham’s Treasure’ (which is the core of the story about the search for the lost treasure). There are also some very small elements and secondary characters from other stories too, but as far as taking liberties that’s where Spielberg stopped. Everything else is precisely how the Belgian creator, Hergé had imagined it: with that same sense of adventure, mystery, intrigue, action and fun. In other words the same mood and atmosphere that made the comics so successful (at least in Europe) and incidentally, in a way those same elements that were also at the centre of one of Spielberg’s classic, Raiders of the lost ark. It’s not surprising that Hergé himself, after seeing that film back in 1981 thought Spielberg was the only person who could ever do Tintin justice. Spielberg pays homage to Tintin’s creator right from the start, not just in the beautifully design title sequence (reminiscent of the one from Catch Me If You Can), where he show us so many elements from all Tintin stories, not just in the colour palette he chooses for the cinematography of the film or in the way each character’s face looks, but he even goes as far as having Hergé himself appearing as a street artist drawing a portrait of Tintin the way we are used to see him in the comics: pure genius! On the whole I must say that I wasn’t as bothered as I thought I was going to be by the motion capture animation. In fact you stop worrying about it about 5 minutes into the film. The characters look more cartoony than realistic and that helps getting away with the fact that their eyes (especially Tintin’s) are slightly dead. This is first and foremost still an animated film (I can place a bet right now that it’s going to be nominated at the Oscars next year, and probably it’s going to win one too!). One thing is for sure: it does look magnificent! From the moody dark shadows reminiscent of those film noir from the 40s, to the great vistas straight out of a David Lean classic, the impeccable cinematography (Spielberg is even credited as Lighting Consultant) is not just beautiful but impressive and atmospheric. Spielberg in his first animated venture (and his first use of 3D too!) looks like a little boy who’s just been told he can do what he wants for his birthday: he appears to be liberated from any restriction he may have had on a normal feature film and seems to have a lot of fun in finding new beautifully inventive ways to transition from one scene to the next in a way you could only do in animation (or with a lot of very expensive CGI): Spielberg’s camera floats, glides, flies, moves through glass, shoots straight into mirrors and gives us views which would otherwise been virtually impossible and yet, most of the times it’s never showy, it’s never forced or indulgent (in the same way,it wasn’t forced in ET, when the camera never showed us any adult – mom aside – for most the film and yet it didn’t make it annoying… In fact most of the audience didn’t even notice). It’s like watching a master at work who knows exactly where the camera should be at which time. It all culminated with one of the most impressive and perfectly executed chase sequence ever portrayed on screen. Impressive not just because of its pace and its edge-of-your-seat thrills, but also for its meticulously choreographed technique: in fact it takes place in just one impossibly-long shot, which adds to the tension and to the sense of fun. If you ever wondered why didn’t they just film the whole thing for real, that sequence alone (which by itself is worth the price of the entire ticket) should serve you as an answer. I just wished that same tension and fun of that sequence had been present throughout the rest of the film. Don’t get me wrong, this first adventures of Tintin is a roller coaster ride like few others. Essentially it’s one action set piece after another, and yet somehow I felt there was a strange tendency to resolve problems much too quickly. It’s almost as if Spielberg was so preoccupied to get us to the next action sequence that he almost forgot how to makes like the one we were watching. I give you a few examples: a chase sequence at the front of the film, ends much too soon before it has time to climax. Later on there’s a scene where Tintin has to steal a key from a bunch of sleeping goons. A lot of time is spent setting up the dangers and then just when the sequence is about to get fun, Tintin gets the key. There’s another scene where Tintin faints close to the propellers of a plane and once again he gets saved much too quickly. Whatever happened to those classic Spielberg action sequences that were so tense despite being so simple? I’m thinking of Indy trying to get the antidote to the poison he’s just drunk as the little bottle gets kicked around a room full of screaming people in the Temple of Doom, or fight sequence by the plane in Raiders, or even the glass breaking sequence in the otherwise weak Lost World? (In fact they are too many to even mention). The pace of the film is strange and a bit uneven. It has moments of long exposition (this is a fault that comes with the source material to be completely fair), then lots of little short action scenes (as I said, slightly too short to feel important. I would have rather had fewer set pieces but longer in their execution) and sometimes it’s even anticlimactic (I’m thinking of the last 10 minutes of the film for example). I don’t think it’s necessarily an editing problem. Since this is animation, there isn’t a lot of extra material that can be added to add tension to scene. I am probably picking needles because as I said before I love these stories (and the story-teller) way too much. The comedy aspect of the film is a bit of a hit and miss: the Inspector Thompson and Thomson are obviously aimed at the younger crowd, but they’re also the weakest characters (we had a glimpse of that in the trailer itself, as one of them falls off the stairs: a scene which in the theatre where I was, full of kids, was received with dead silence), on the other hand Captain Haddock is perfect. I don’t know whether it’s the script, or Andy Serkis’s performance or both, but most of the jokes around him seem to work perfectly. Same goes for the little dog Snowy who is in almost every scene of the film, even if just in the background licking a massive bone in the desert. The audience I was with seemed to love him and so did I. And finally Tintin himself which in this whole 3D world is probably the most two-dimensional character. Aside from the fact that he seems to get a kick out of solving puzzles and getting into adventures, we know very little about him. I’m not really blaming Spielberg for that, this exactly how Tintin was in the comics, but I do wonder if some character development would have been really seen as sacrilegious by the hard-code fans. Certainly not by me. Finally I feel I should say a few words about John Williams score, the first one in years (especially if we dismiss the very forgettable one for the 4th Indiana Jones). There’s a very quirky and weird title music (which never really seem to play out throughout the rest of the film) which is the most un-Wiliamesque theme in a while. It’s certainly not bad, but it feels slightly detached from the rest of the film. The Star Wars title music was never repeated throughout the movies either, and yet it felt part of the score. This title music feels like it belonged to can other film (in fact it felt like a non used cue from “catch me if you can”). It’s hard to review the score, because for most of the film I felt it never really had the time to breathe as much as it should have. The comic cues suffered more than the others (the ones for the Inspectors for example), as they were covered by the dialogue and the rest of the sound effects to the point where I even wondered whether any music was needed at all. In fact on the whole I felt there was way too much music in the film (in fact there was hardly a moment without) and yet it had very little time for the music to shine. Having said that, I was still able to hum some of the Tintin action tunes once leaving the theatre… and that’s always a good sign. 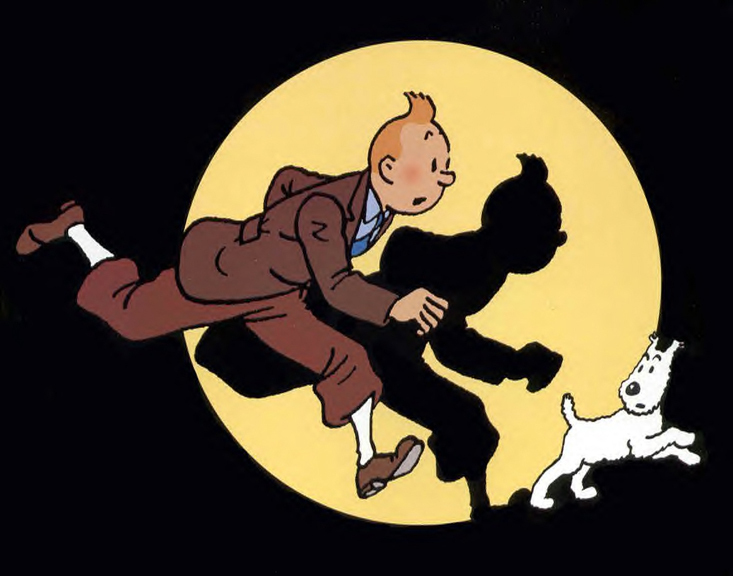 To recap, I think Tintin has definitely legs for a sequel and even more than just one. It is a solid action-packed fun-ride for the whole family which is not as loud, dumb and insulting as some of those Pirates of the Caribbean films were (especially the latest sequels). It’s proper film-making with the heart in the right place. Director Joe Cornish is obviously a boy from the 80s and his latest film “Attack the Block” was certainly inspired by the likes of the Goonies, Gremlins (and its Z-list of derivates Critters, Ghoulies, Troll) or other 80s Monsters-films (even the soundtrack of this film seems to be reminiscent of the early Carpenter too). Not surprisingly Spielberg himself has chosen him to write his Adventures of Tintin. All this retro-sci-fi sensibility is mixed up with the grittier settings of a typical British gang movie, like recent Harry Brown for example, just to mention one. I must say it did take me quite a while to settle into the film, mainly because we are expected to like a gang of scumbags who attack people in the street at knifepoint and who speak with the uncompromising accents, only some of which I was able to fully understand. And yet despite an early sequence where a nurse is assaulted (thus your liking for these kids reach rock bottom) director Cornish during the course of the film still manages to make these characters quite likeable and I guess that can only be considered an achievement. Obviously some of the credit has to be given to the realistic and natural performances from the gang of inexperienced actors, headed by the taciturn Moses, perfectly played by John Boyega. The film on the whole is probably way too silly to take any of the message underneath too seriously: in fact we are supposed to understand the motivations behind these street kids and even excuse the gang’s behaviours. The film tells us that their resentment is justified by the fact that they are just unlucky kids who are not given a chance by the system. However, beyond this intellectual (and not-too-subtle) reading, “Attack the Block” is mainly a comedy about aliens versus hoodies and that’s what people will take out of it. It is also a rather unusual mish-mash of genres and I must confess in the beginning I found it all bit jarring, but if you are willing to go with it and suspend your disbelief, I’m sure you’ll end up enjoying the ride. In fact, just like in Gremlins, the film tries to combine comedy with horror the same way cult films like Shaun of the Dead had done years ago. However whist there are some genuinely funny bits in the film, they are never really out-loud moments, nor particularly memorable. Even Nick Frost‘s part in the film feels more a last-minute addition to the script than rounded character, functional to the plot. And knowing how funny Nick Frost can be, it all seems like a bit of a waste. As far as the scary sequences are concerned, some of them are skilfully choreographed, photographed and filmed and on the whole are quite effective, however I’m sure that an audience familiar with the horror genre will find them all pretty standard and never as scary as they should actually be. Cornish opted to use old-fashioned mechanical special effects for his weird alien/gorilla-like/furry-monsters. However the threat from these fluffy beast is never quite “real enough” and in the end the aliens are more ridiculous than menacing. It’s hard to know what the target audience for this film is supposed to be. The Horror fans would have seen it all before, the US kids will be put off by the accents, the snobby/arty elite will certainly find it all a bit too silly to care about its message, but I must confess, I came to it with very few expectations and even though it took me way too long to get into it, once I was finally with it, I actually found it all rather enjoyable for the its slightly trashy fake-B-movie sensibility (but a lot more clever than it claims it is) and I was happy I saw it.